Product prices and availability are accurate as of 2019-04-19 00:00:03 UTC and are subject to change. Any price and availability information displayed on http://www.amazon.co.uk/ at the time of purchase will apply to the purchase of this product. The Single Malt Whiskey Store are proud to offer the brilliant Personalised Talisker 10 Year Old 70cl. With so many on offer right now, it is great to have a make you can recognise. 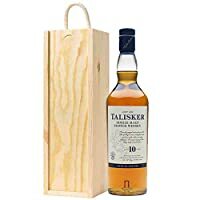 The Personalised Talisker 10 Year Old 70cl is certainly that and will be a superb purchase. 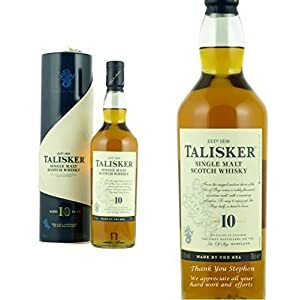 For this price, the Personalised Talisker 10 Year Old 70cl comes widely respected and is always a regular choice with lots of people. Talisker have added some nice touches and this results in great value for money.